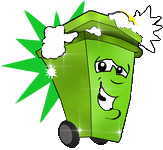 PLEASE NOTE THAT IF YOU ARE BOOKING TODAY FOR A BIN THAT IS BEING EMPTIED TODAY, UNLESS THIS IS DONE BY 12 NOON YOU WILL NOT BE ADDED TO OUR ROUNDS UNTIL YOUR FOLLOWING WASTE COLLECTION DAY (UNLESS IN URGENT CIRCUMSTANCES THEN PLEASE SEND AN EMAIL HEADED "URGENT" TO WHEELIEBINWIRRAL@GMAIL.COM). THIS ENSURES THAT WE CAN MEET THE NEEDS OF OUR EXISTING CUSTOMERS IN A TIMELY FASHION. IF YOU HAVE BOOKED A CLEAN PRIOR TO THIS TIME YOUR BIN WILL BE CLEANED WHEN YOUR BIN IS NEXT EMPTIED. "Thank you for choosing our service"